The Hall of Excellence celebrates alumni who embody and promote the ideals of Hillfield Strathallan College. By honouring this distinguished group of alumni the College continues its tradition of inspiring others through the legacy of alumni who have come before them. Any former student of HSC who completed a minimum of one academic year with the school is defined as an HSC Alumnus, and therefore is eligible to be nominated for this honour. This award may be presented posthumously. What is the profile of an inductee? Each individual’s story of personal excellence should be a story that captivates and inspires current HSC students. Please fill out the nomination form or contact Caitlin Ford, Alumni Advancement Manager at caitlin.ford@hsc.on.ca, or by calling (905) 389-1367, ext. 117. A selection committee representing a cross-section of Alumni, Current Academics, Former Academics and Community Leaders will review all nominations and be responsible for the task of selecting annual honourees. The Alumni Award of Distinction winner will attend a celebration in his or her honour at the invitation of the Alumni Association and School. He or she will be asked to share wisdom and insight into his/her accomplishments as a Keynote Speaker and participate in the Prefect Installation ceremony, inspiring the next generation of leaders. To view the photos of last year's award ceremony, please go to our Gallery. For Gema Boich (Zamprogna) performing is something that comes as naturally as breathing, and the HSC alumna is passing that passion for the arts on to the next generation of performing artists. Gema, one of three Zamprogna siblings who attended HSC grew up in a household that valued the performing arts in Canada. Her actor/ dancer parents, Lou and Pauline met in the early 1970s on a movie set, and after moving to Hamilton opened The Dance Centre, which to this day still teaches everyone from toddlers to late bloomers the art of ballet, jazz and tap. She began acting while in Middle School and was cast as Felicity King on Road to Avonlea. The transition to HSC involved a lot of moving pieces - from administration to tutors, it was a team effort to keep her current on her academics while still filming the show. In 2014 after a career in the entertainment industry, Gema returned to her roots and opened a Grimsby location of The Dance Centre. She also manages the Hamilton family dance studio with her sister and the two recently started up a new initiative called Zamprogna Arts, a performing arts program that offers intensive training to aspiring performers. The reproductive specialist and McMaster University professor currently works out of One Fertility in Burlington, Ontario helping couples navigate the waters of their fertility journey. Stacy began her time at HSC in Grade 9 and graduated after her OAC year, adding academics, sports and the title of Head Girl to her HSC resume. After graduating she completed her Bachelor of Health Sciences at McMaster University, graduated from McMaster’s medical school, and then went on to complete a fellowship in reproductive technology and endocrinology. Stacy credits her success in her post-secondary academics to the education she received at HSC. 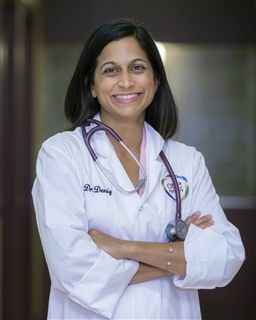 When she isn’t working with patients, Stacy is busy educating medical students and residents in her role as a professor at McMaster University. She recently received a recognition award for her educating – an honour that is not typically bestowed upon professors so early into their career. Stacy is also active in conducting research which focuses on how to better support patients through the fertility process. She works to understand how patients can be helped in their decision making when faced with tough decisions, what kind of information they need and the timeline in which they need it. For Jonathan Waters, Hillfield Strathallan College has been like a member of the family for more than 60 years. In addition to being an alumnus himself, Jonathan’s family is also heavily tied to the HSC community. 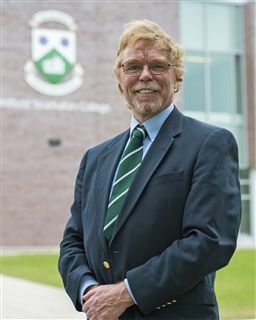 His father not only taught from 1954 to 1977 but was also the head of the Junior School for many years, and his mother was also a teacher at HSC for a short period of time. After completing his studies at HSC, Jonathan attended McMaster University where he completed a Bachelor of Science in Physics. Drawn to the magic of computers, Waters then moved into a successful career in the computer programing industry which allowed him to travel world-wide. Some of the systems that he has designed and implemented have been used as national standards for law enforcement and criminal justice processing and are utilized by the FBI, the RCMP and many US states. 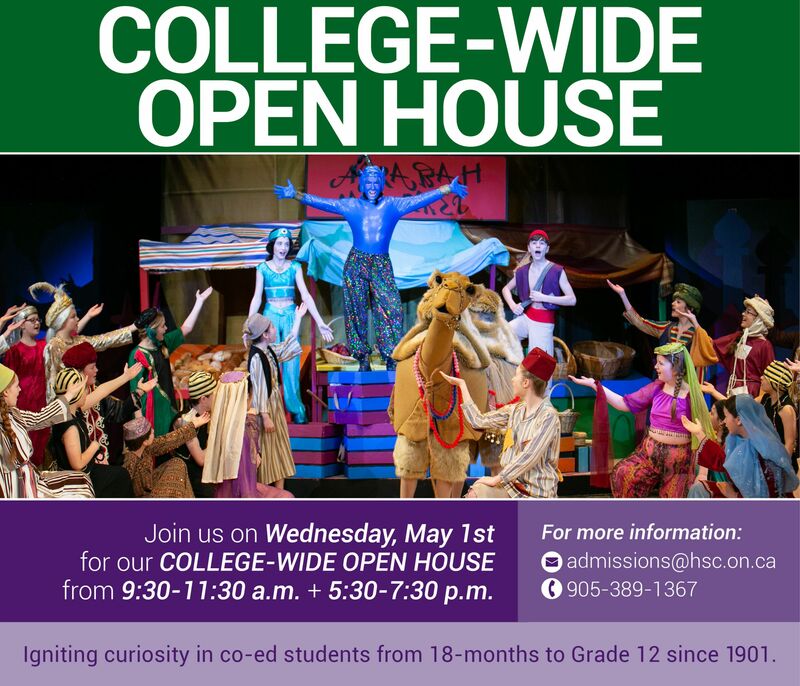 With such an in-depth knowledge of HSC’s history, Jonathan has become a wealth of information when it comes to fun facts about the College and the campus. Over the past 10 years he has shared story upon story, has donated items for the HSC archives, adding to the rich history of the College, and has taken part in a number of volunteer opportunities keeping his connection with the HSC community strong.